It is important to create structure for children and teens as they grow up. Structure helps people understand the reason they are moving in a certain direction, what the usual habits and activities we must do on a regular basis and what is acceptable behaviors in the world when children and teens grow up and venture out into the real world. Creating structure for children and teens with behavioral disorders can be a challenge but is extremely crucial for their development. Begin there for your child is important and creating a structure that works well with their behavioral disorder is the best way to prepare them for the real world they will encounter as adults. 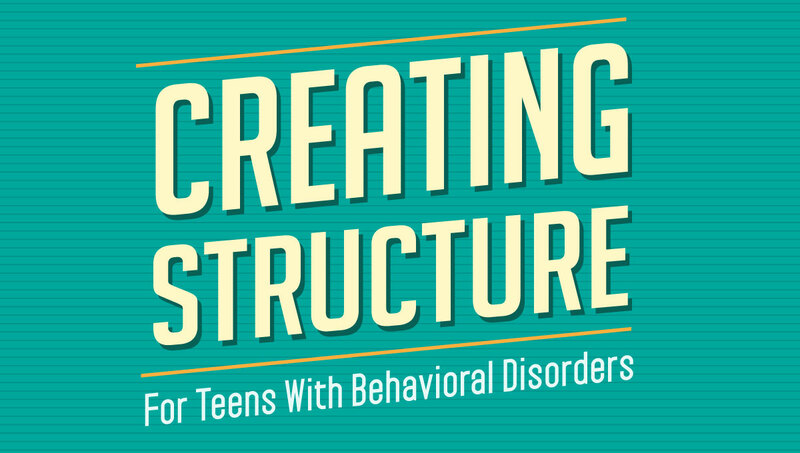 Below is a infographic depicting some ways to create structure for teens with some of the most common behavioral disorders.